Born in 1984. 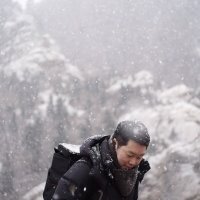 A film director based in Seoul, South Korea. He studied literature in university and studied film directing at the graduate school. He made short films ''Swing''(2013), ''POST''(2014), ''Silent Boy''(2015). ''Silent Boy'' received an award at Jeonbuk Independent Film Festival in 2015 and was screening at Jeonju International Film Festival, Taiwan International Children's Film Festival in 2016. ''To My River'' is his first feature film. [Video] New Clip Added for the Upcoming Korean Movie "To My River"
[Videos] New Trailer and Video Added for the Upcoming Korean Movie "To My River"